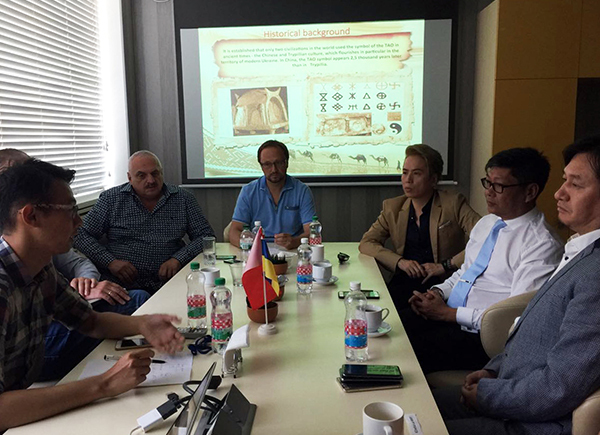 Under the great impetus of the Chinese Embassy in Ukraine, the creative team of China International Art & Business Alliance (hereinafter referred to as CIABA) investigated Ukraine KINOTUR Film & Television Corporation and Ukraine national film company, namely FILM UA. 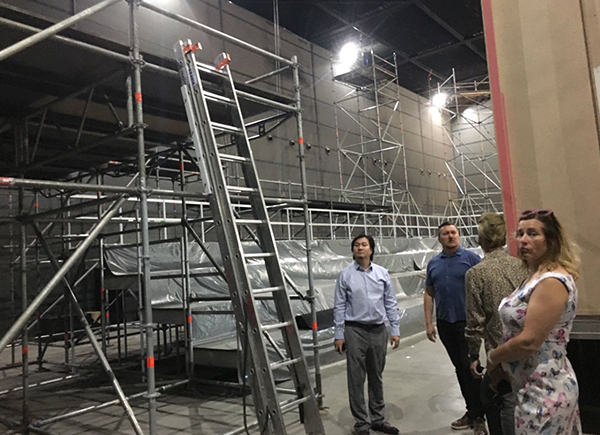 After rounds of talks, the creative and production team eventually selected to cooperate with FILM UA, which represent the highest standards. 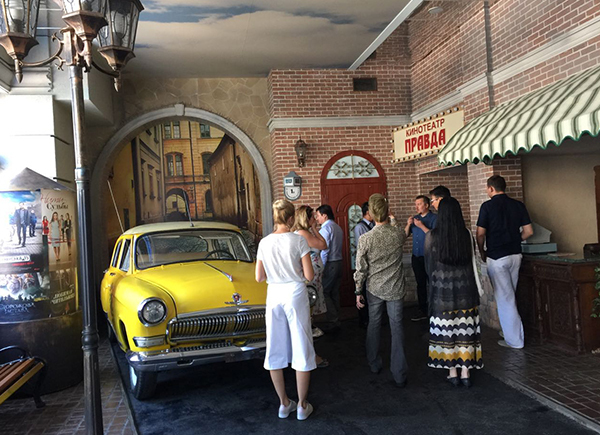 The two sides refined the detailed cooperation contents such as the script, capital investment and market release of the 1st film produced by China and Ukraine, signed the cooperation agreement, and determined to hold the press conference of this film in Beijing at the end of September. 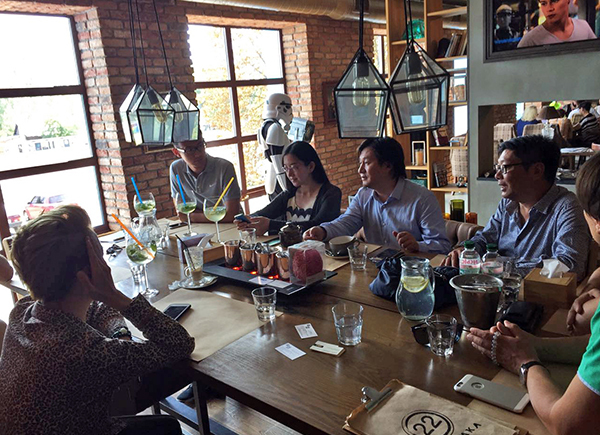 Local time in the evening on August 4th , the Chinese Ambassador in Ukraine, Du Wei and his wife warmly met the Executive Chairman, Joseph Chen yufu and the Vice Permanent Secretary-General, Celine Wang Di at his official residence. Mr. Du expressed his congratulations to the achievements of CIABA and proposed more demands and hopes for the future works. Accompanied by Chief Ding, Chen Yufu, the CIABA Executive Chairman and Film and Television Creative Team, together with Valentyn Koval, Member of the National Committee of the Ukraine and Vice President of the National Film Bureau, Sergey Sozanovsky, President of FILM UA, National Film and Television Company, and Victoria Yarmoshchuk, President of the National Film Institute, meet at the Chinese Embassy in Ukraine. 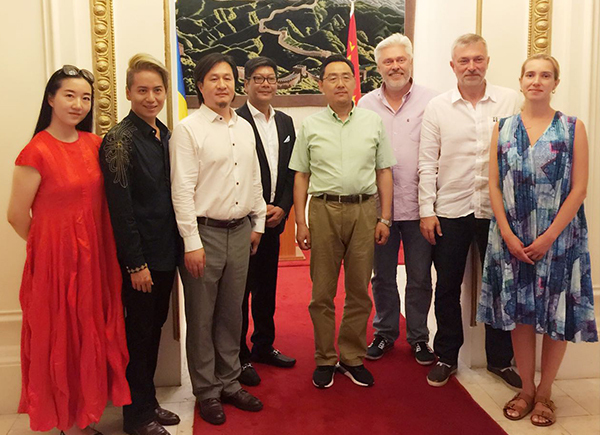 Chen Yufu, CIABA Executive Chairman, Wang Di, Executive Vice Secretary-General, together with Du Wei, Chinese Ambassador to Ukraine and his wife, and Chief Ding take a group photo to mark the occasion at the ambassador's residence.